Think back to your last presentation at work. Was it a dump of data? If so, your audience probably left unsatisfied. When you embark on a data dump what good comes from it? Most importantly, what good does your audience get from a data dump. If you give your audience a bunch of information, does it do little more than just make you look smart? Research shows that the decay of information from a presentation is rapid. The presenter, or data dumper, might feel smart by ‘sharing’ all this knowledge, but what has the audience gained? Ask an audience member what they recalled from a (data dump) presentation an hour after its completion and you might get some recollection. Query an audience member the following morning about a presentation and some will be able to recall a few items of importance. Poll an audience member a few days after a presentation and you’ll get nothing but blank stares. Don’t do the data dump. The audience knows you smart and you have so much you want to share. 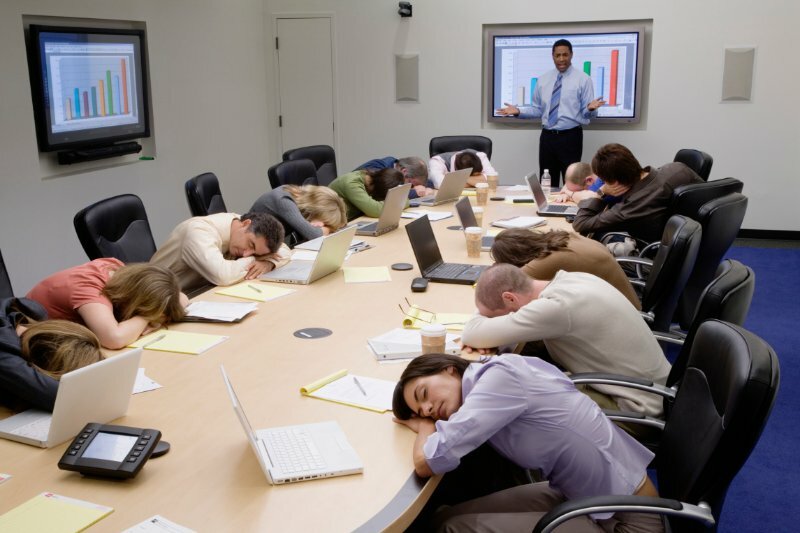 Regrettably, your audience member’s heads are already full of meetings, appointments, deadlines, and projects. -Have a conversation, not a presentation. Query the audience before or during a discussion and ask them what’s keeping them up at night. What are they thinking about as they plan for next quarter or next year? -Break into small groups and appoint a facilitator to lead a discussion on a topic. As much as you desire interaction during your grandiose data dump, most won’t feel comfortable contributing in that forum. Make the discussions smaller and more intimate and people may be more likely to engage. The data dump needs to be retired like the word ‘robust’ when describing your ‘elegant’ software solution. Nothing positive happens from this exercise. Don’t force a data dump on your audience or they’ll be angling for the exit.